Sourav Ganguly was born on 8 July, 1972, in Calcutta (now Kolkata) to businessman Chandidas and Nirupa Ganguly. 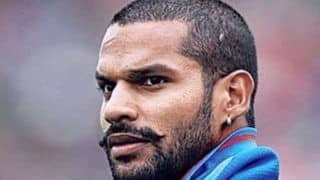 He is a former Indian Cricketer who was the Team India Captain and a top batsman. 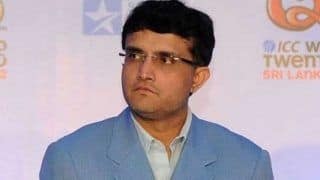 Sourav Ganguly's father had a flourishing business and so the cricketer had a rather comfortable and luxurious childhood. As a child he was encouraged to concentrate on his studies. Also, since football is a popular sport in the state of West Bengal, Sourav's first interest was directed towards football instead of cricket. 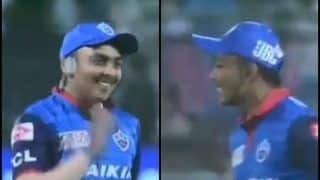 It was his elder brother Snehasish Ganguly, who was an established cricketer playing for the Bengal cricket team, who introduced Sourav Ganguly to the game. 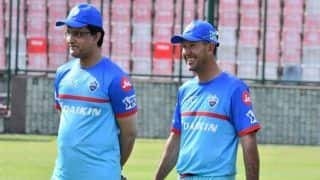 He even went out of his way to convince their father to let Sourav enroll in the cricket camp. Sourav was only in class 10 at the time. 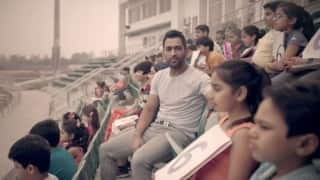 Irrespective of his age, he was able to get noticed because of his sheer talent as a batsman. Interestingly, though he was right-handed, he learnt to bat left-handed. He did this so that he could use his brother's cricketing gear. To further the siblings' love for the game, an indoor gym and concrete pitch was built in their house so as to help with the practice. Sourav was especially impressed by David Gowers style and used to spend hours watching old matches and games. 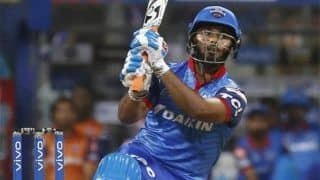 At an early age he scored a century against Orissa Under 15 side and was made the captain of his school team. 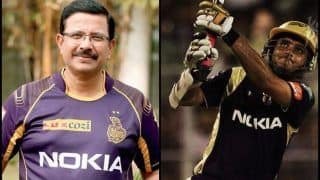 He was reported to be arrogant and conceited by his team mates but that did not affect his ascension to the first class cricket and in 1989 he made his debut in first class cricket playing for Bengal. 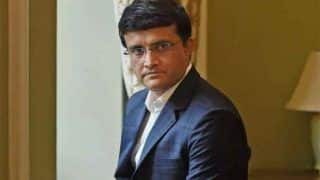 The years 1990 and 1991 were good for Ganguly and he had an exceptional season at the Ranji Trophy and got the opportunity to play for Team India in One Day International of India vs. West Indies in 1992. He score three runs and was soon dropped from the national team, reportedly due to his haughty nature. He kept playing domestic cricket in the meanwhile and scored exceedingly well in the 1993-94 and 1994-95 seasons of Ranji Trophy. Following an innings of 171 in Duleep Trophy 1995-96, he was recalled to the Indian National Cricket Team for India's tour of England in 1996. He played a single ODI but was benched for the test match. 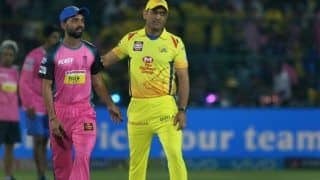 However, an unexpected exit of Navjot Singh Sidhu came as a golden opportunity to Sourav Ganguly and he was to play the second test of a three match series. His test debut was at Lords and all of his fans remember the century he scored, making him only the third cricketer to do so with a debut at the famous Lords ground. His 131 debut score at Lords continues to be the highest scored by any cricketer. In his next test match he score 136 and also was part of a new record high for partnership at 255 with Sachin Tendulkar. After he came back from the successful tour of England, he eloped with his childhood girlfriend Dona Ray. The families later reconciled with their decision. By that time Sourav Ganguly had become a household name in the game of cricket. In 1997, Ganguly scored his maiden ODI century against Sri Lanka when he score 113. He also won four consecutive man of the match awards during the Sahara Cup. Interstingly, the second award was not because of his batting but instead for the fact that he took 5 wickets for 16 runs in 10 overs. This continues to be his best ODI bowling record. His stellar performance ensured him a space in the national team for the 1999 ICC World Cup. 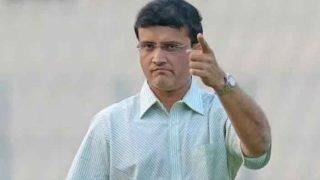 Though the countrys performance at the world cup was dismal to say the least, Sourav Ganguly shone with a 183 off just 158 balls against Sri Lanka at Taunton. The score became the second highest score in the World Cup and also the highest by an Indian in any tournament. 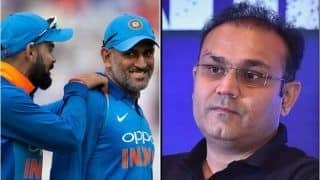 Another feather to his cap in the same match was the unbeaten partnership with Rahul Dravid of 318 runs, which is the highest overall score in a World Cup and is the second highest in all ODI cricket. Ganguly then struggled with his test performance during the Australia and South Africa tour of the team, but remained impressive in the ODI performance, scoring centuries. 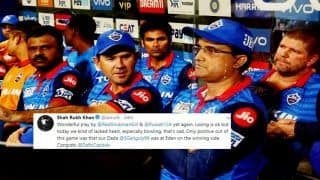 In 2000, in the midst of one of the most popular match fixing scandals to ever engulf cricket in India, Sourav Ganguly became the captain of Indian Cricket Team. (This was due to Sachin Tendulkar stepping down from the post and him being the Vice Captain at the time.) He became famous as the Bengal Tiger and Maharaja of Cricket and was lovingly referred to as Dada (which means elder brother in Bengali). He started his career as a Captain on a positive note by winning series against South Africa in a 5 one day match. Ganguly was again in the news for his shirt flinging incident during the final of 2002 NatWest Series. 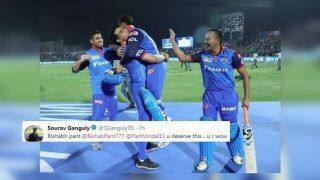 During the final, as the team won on the back of excellent performance by team mates Yuvraj Singh and Mohammad Kaif, Sourav Ganguly took his shirt off and waved it. The action was condemned widely as it was not to be expected from a player of the gentleman's game of cricket. READ: 15 Years Ago Today: When Sourav Ganguly Took Off His Shirt at Lord’s. Sourav Ganguly then led Team India to the finals of a World Cup in 2003, after 20 long years. Though Ganguly had a successful tournament, India lost the final to Australia. By 2004, he was acknowledged as one of Indias most successful cricket captain. In spite of this his performance was seen as constantly deteriorating. 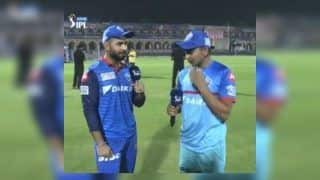 In 2004 he was in poor form and by 2005 he was asked to retire and the captaincy was passed on to his deputy Rahul Dravid. He was however determined to make a comeback. He also came into news due to a very public disagreement in 2005 with the then team coach Greg Chappell. The media went into frenzy and BCCI had to intervene to sort out the differences between the coach and the team. 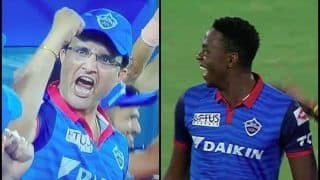 Amidst the poor performance of the team, Sourav Ganguly was invited back to join the team and had an amazing comeback in the match against South Africa. When Sourav Ganguly came in to bat India was battling at a low score of 37/4. Ganguly scored 83 which helped India winning the match. Even in Test Cricket, his score of 51 helped India win at Johannesburg. From then on, Sourav Ganguly remains in prolific form and had an amazing run. He also scored his maiden double century in 2007. 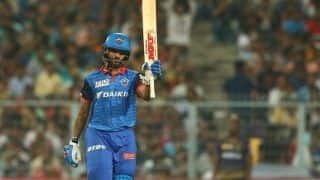 After this he joined IPL as the captain of Kolkata Knight Riders. He announced his retirement from International Cricket in 2008 during the series against Australia. 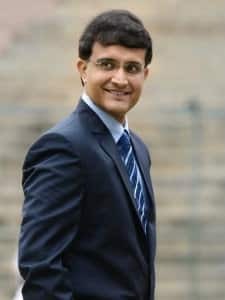 Sourav Ganguly at present is the President of CAB. He has a daughter, Sana who was born in 2001. OMG! 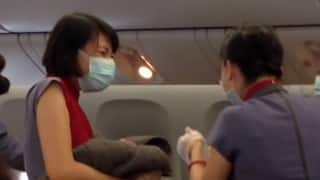 Lady delivers baby in-flight between China and USA!